These heart-filled rubber duckies are easy to fall in love with! 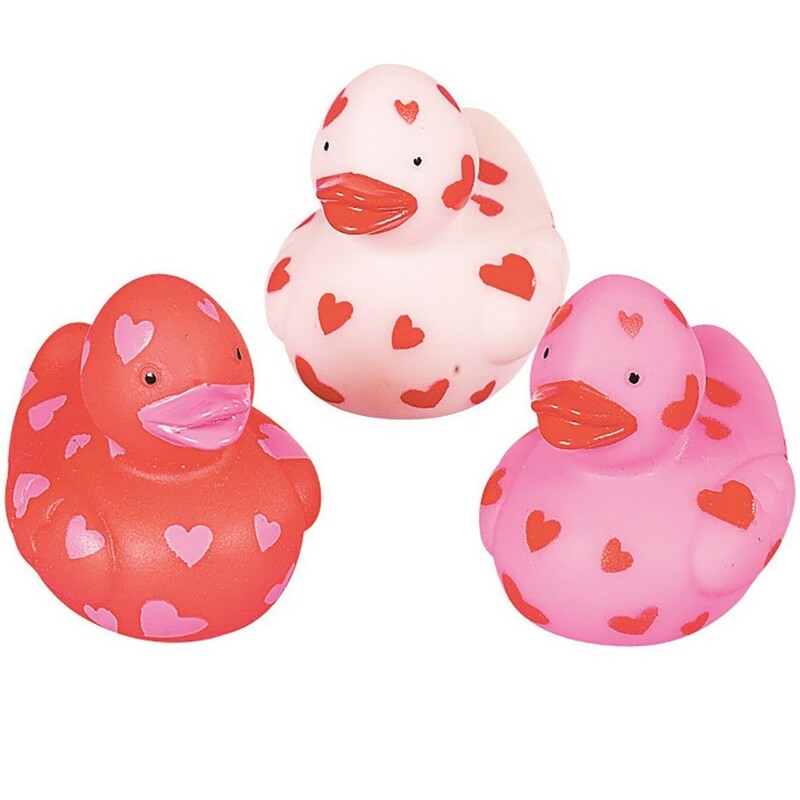 These white, red and pink duckies covered in hearts are perfect companions to Valentine's Day cards and are sure to create smiles on the faces of patients! Made of vinyl.